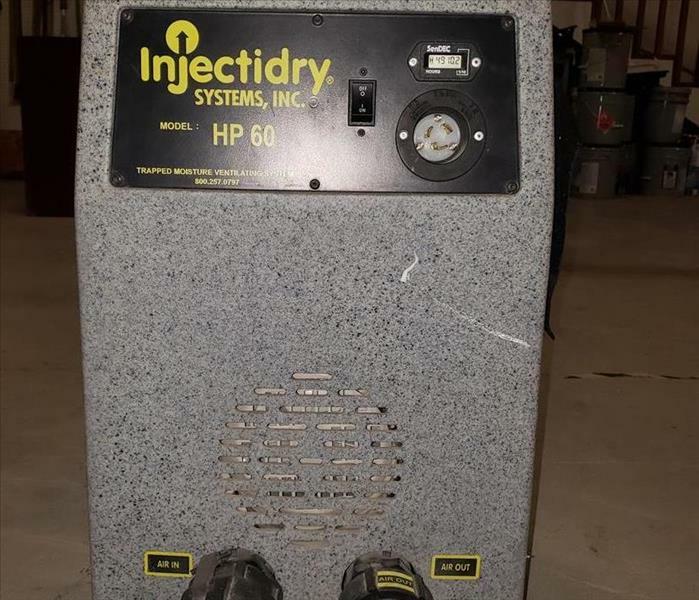 The Injectidry system is the perfect drying equipment to dry those hard to reach areas. It allows for efficient drying of hardwood floors, under cabinets and inside walls. This helps reduce the amount of time it takes to complete the project so your home or place of business can get back to normal. SERVPRO of East Evansville is always here to help! SERVPRO of East Evansville has been cruising the streets of Evansville for over 20 years. If you see us in your neighborhood and have questions, stop by and say hello. We'd love to meet you. Home to some of the most trusted professionals in Evansville. SERVPRO of East Evansville has serviced Vanderburgh and the surrounding counties for decades. We truly appreciate you trusting us during some of your most challenging times. SERVPRO of East Evansville added this trailer to our vehicle line up to assist with move outs and transporting of equipment. Another option to allow us to better serve Evansville and the surrounding communities. SERVPRO of East Evansville has a team of highly qualified individuals ready to help when needed 24 hours a day, 7 days a week! Congratulations Greg on passing the Drybook certification test! He is now authorized to use SERVPRO's Drybook program to document the drying process on water and fire damage jobs. Congratulations Alysha on passing the Drybook certification test! She is now authorized to use SERVPRO's Drybook program to document the drying process on water and fire damage jobs. This box truck was added to our fleet of vehicles at SERVPRO of East Evansville. It has been a great help when performing move outs due to fire damaged or water damaged homes.